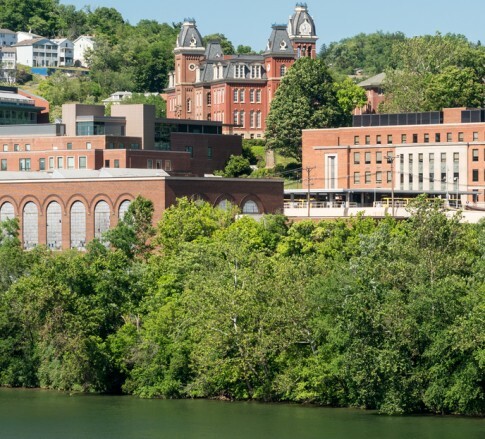 Jackson Kelly’s Morgantown office likes to brag it’s located in West Virginia’s largest city, but that’s only true on game days, when thousands of people travel from all over the state and beyond to cheer on the West Virginia University Mountaineers. Regardless of the day, the Morgantown office is home to a team of experienced attorneys that offers a broad range of legal services in practice areas including banking, commercial issues, labor and employment, litigation, real estate, trusts and estates, and workers’ compensation. This office also serves as the headquarters for the Firm’s nationally recognized Federal Black Lung practice, which serves clients across the country. Established in 1982, the Morgantown office has more than 50 attorneys and staff who serve the interests of our clients in north-central West Virginia and beyond. The Morgantown office is integrated into the heart of the Morgantown community, through support for community programs and with attorneys taking lead roles on the boards of many community organizations. With a broad range of legal services and practices, Jackson Kelly’s Morgantown office works with the Firm’s other offices to offer clients responsive, cost-effective results, regardless of the clients’ location or needs.